It's Monday, March 11, 2019. Let's start here. Another budget fight over the border wall is brewing, with the Senate this week likely to vote against President Donald Trump's emergency declaration. The White House today is planning to unveil details of a budget proposal that includes $8.6 billion for a border wall, a senior administration official told ABC News. That's roughly 50 percent more than the $5.7 billion Trump originally was denied, leading to the longest government shutdown in U.S. history, which cost the economy about $11 billion, according to the nonpartisan Congressional Budget Office. "This," White House Correspondent Tara Palmeri says on "Start Here" today, "is a fight the president is not ready to give up." 2. What is North Korea doing/not doing? 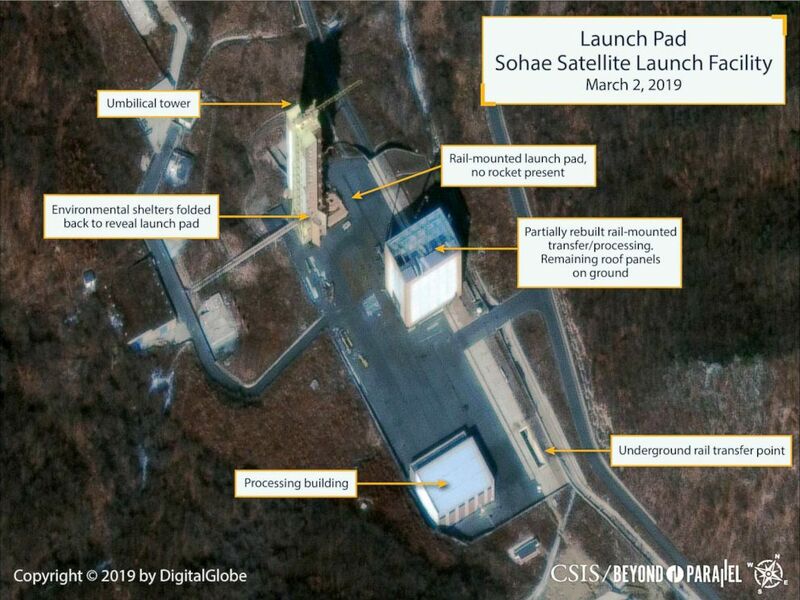 With new commercial satellite images showing that North Korea may be reviving its missile program, does Pyongyang's first test launch in more than a year loom in the not-too-distant future? Kim Jong Un, seeking additional leverage in nuclear negotiations, isn't trying to hide what's going on, ABC News' Luis Martinez says on today's podcast. "The North Koreans want to be seen doing something like this," he tells us. "They want those trucks, they want those cranes, they want all of that to be detected by the satellites." An Ethiopian Airlines flight, which lost contact with air traffic control just six minutes after taking off from Addis Ababa Airport, crashed and killed all 157 aboard, including eight Americans. It's the second deadly crash for a Boeing 737 Max 8 jet in less than five months -- a Lion Air flight crashed after takeoff in Indonesia in October, killing 189. It's too early to tell whether the incidents are linked, but "it was like deja vu all over again," ABC News Senior Transportation Correspondent David Kerley tells us. 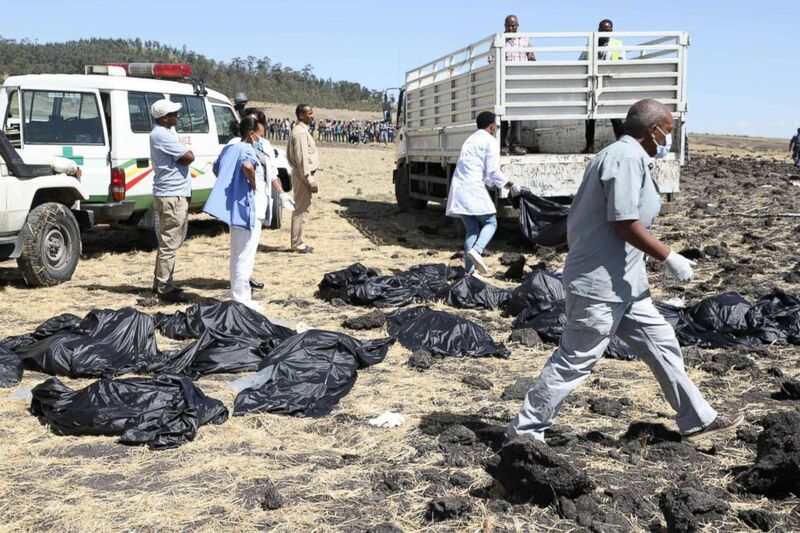 (Michael Tewelde/AFP/Getty Images) Rescue teams walk past collected bodies in bags at the crash site of Ethiopia Airlines near Bishoftu, southeast of Addis Ababa, Ethiopia, March 10, 2019. "It's time to break up Amazon, Google and Facebook," Sen. Elizabeth Warren, D-Mass., declared in a recent blog post. The 2020 hopeful is proposing that tech companies making at least $25 billion per year should be classified as "platform utilities" as part of an effort to restore competitive balance. "The idea," says Max Read, who covers technology for New York Magazine and joins us on "Start Here" this morning, "is to make sure that these fields are competitive enough that consumers can have some power over the companies themselves." 'Something like this could be the straw that broke the camel's back': A former attorney for Stormy Daniels and Karen McDougal, both of whom allege having affairs with the man who became the current president of the United States of America, tells ABC News that hush-money payments to the women were "done for political reasons." 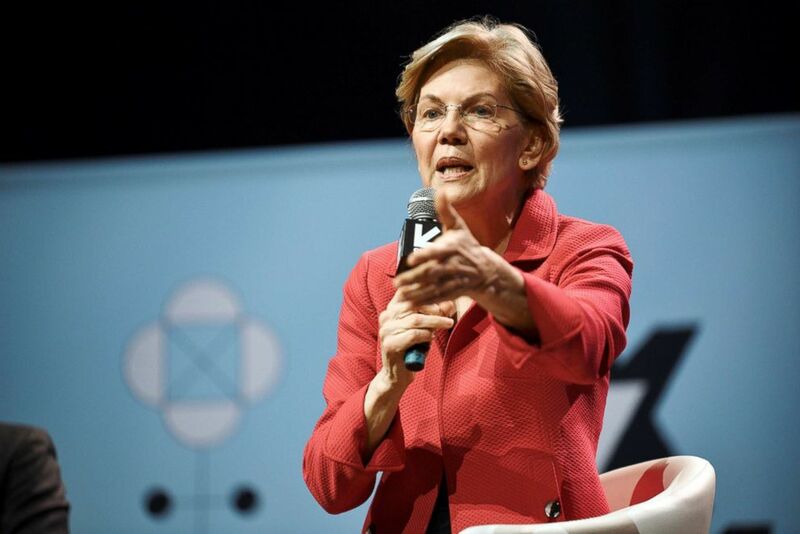 'If you want a good description of socialism, just look at Venezuela': Howard Schultz is booed at South By Southwest as 2020 candidates talk about 2020 candidates. 'Female soldiers are being assaulted': Stephanie Ramos, an ABC News correspondent and Army reservist, says listening to Sen. Martha McSally open up about being raped in the Air Force was "heartbreaking" but also "something that the military needs to hear." The Mets picked a bad year to try to win the NL East: This division race should be merciless, and New York is right in the thick of it, for better or worse. If you missed last week's episode of "The Investigation," ABC News' everything-you-need-to-know-about-the-Mueller-investigation podcast, please click on this link or this link to un-miss it.